Have a question about the Sherwood Magnum 2 Window Mask? 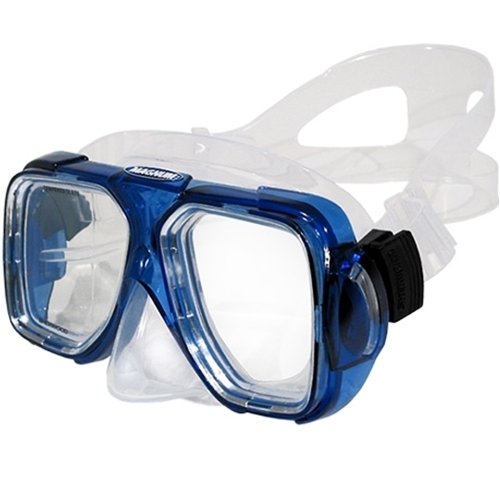 The Sherwood Magnum 2-Window Mask has been serving the diving community for many years. The Magnum's track record will assure that it will continue to serve the industry for many more. How can a mask be so reliable? Comfort and Fit make this one of the most widely accepted masks today. The Two Window Tempered Glass Design creates a Low Volume Mask with Optional Corrective Lenses (see SKU: SWDMCL). Mask is equipped with an Easy-to-Reach One-Hand Nose Pocket for Ear Equalization which can be utilized even when wearing thick gloves. Mask has a Double Feathered Edge Silicone Rubber Skirt and Wide Silicone Rubber Mask Strap that combined to create a Perfect Seal on the Face. Adjustment of the Strap is made easy with and Sherwood's unique Virtual Pivot Point (VPP) Buckles System. Click here for corrective lenses!